Recipients: To add recipients, press the (+) button. Here, you can add the names and emails of the recipients. *Note: users will only see the name, not the email. Names will be in a drop down menu for users to select. Success redirect: Once a form has been submitted, you can enter the URL here of the page you wish to direct them to. Once you click one of the fields, it generates an empty field. Hovering cursor over it highlights it -then click the little settings wheel to make the changes. 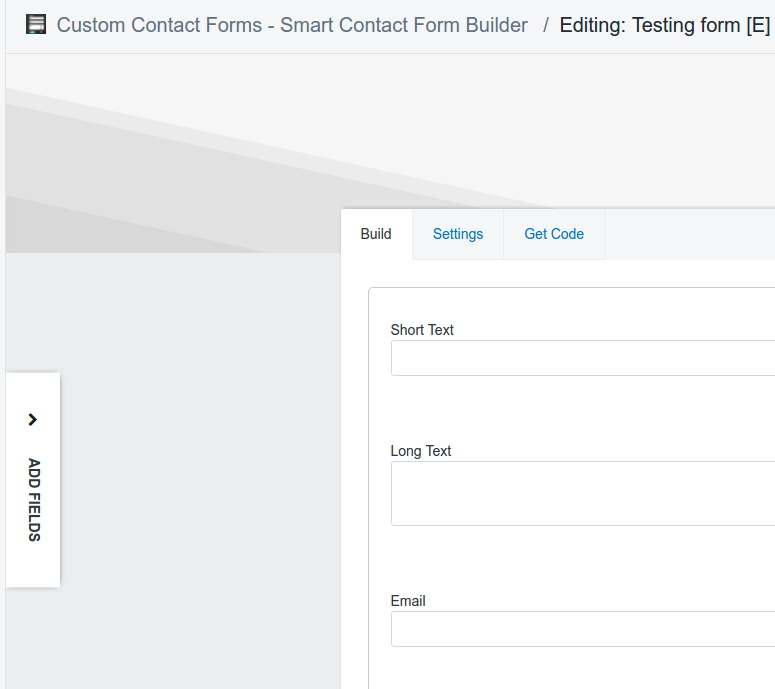 5) Once you have created your form, click "Save" in the top right corner of the Build page. 6) Following this, you be able to retrieve the custom code for your form which is located under the "Get Code" tab. 7) This code can be placed in any area for content in your Shopify store, or placed in your theme liquid files.